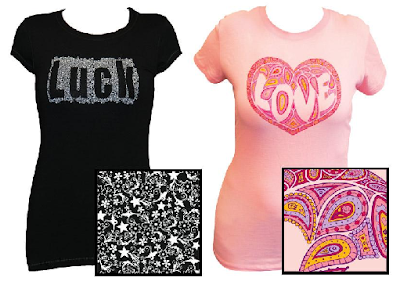 WEAR LUCK is about women remembering themselves. A truly healthy woman is one who finds a balance in life between family, career, romance, creativity, confidence, fame, prosperity and wisdom. There's something whimsical about WEAR LUCK's clothing designs! Truly inspiring words are hidden in the patterns and symbols of the design in each shirt, and you are essentially "wearing luck". 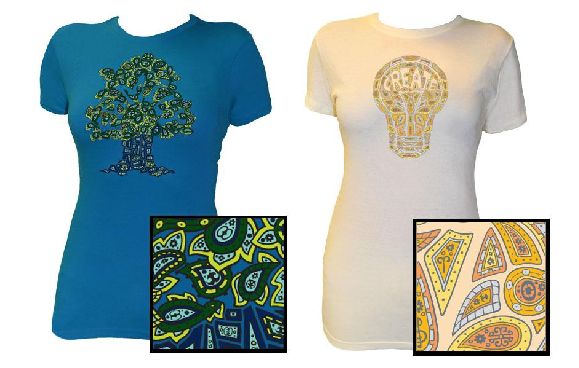 When the Prosperity Butterfly Shirt (Pictured Above Top) arrived, I could better appreciate the symbols within the design. 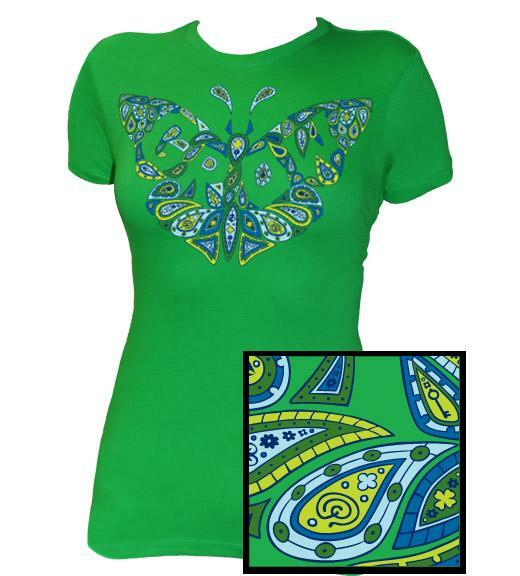 Small symbols, of the dollar sign and four leaf clovers mingle amongst the paisley design, and the word "Grow" appears within the pattern. The shirt is wonderfully soft, and I am in LOVE with the body conscious fit (while flattering and form fitting, it remains tastefully modest). These very unique designs are the perfect way to start a new season. Whether it's in Prosperity, Romance, Health, Fame, Family, Career, Wisdom, Confidence, or Creativity; inspire yourself and those around you and "WEAR LUCK"!